Building a new home is exciting and fun, especially as the project nears completion. If you have recently built a new home, you are ready to work on those final steps to finish things up, and your Gilbert, AZ interior painting is one of the tasks that you will deal with yet. When it comes to Gilbert, AZ interior painting, we are here to help you get the kind of results that you are looking for, and to leave you feeling satisfied. Your new home deserves to have experience painters working on it, and we are the right choice to get the job done. When you have decided on the paint colors for the interior of your new home, then it is time to decide just who is going to get the painting job done. You don't have time to get the job done yourself, but we have time to work on it for you. Painting isn't your job, but it is ours. 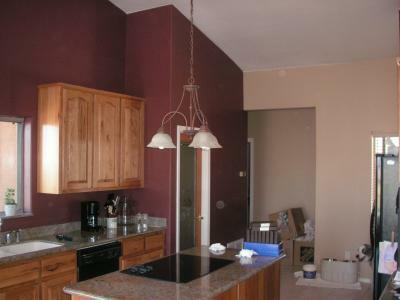 We will take care of all of the details to get your painting job done, and to get it done right. We will take care of all of your interior needs when it comes to painting your new home. If you are ready to have your new home painted, then we are ready to do the job for you. We will provide you with the quality results that you are looking for, helping you to fall more and more in love with your new place. We will paint the interior of your home, allowing you to have the time to take care of all of the other little tasks that need to be done at this point in the new home creating process.